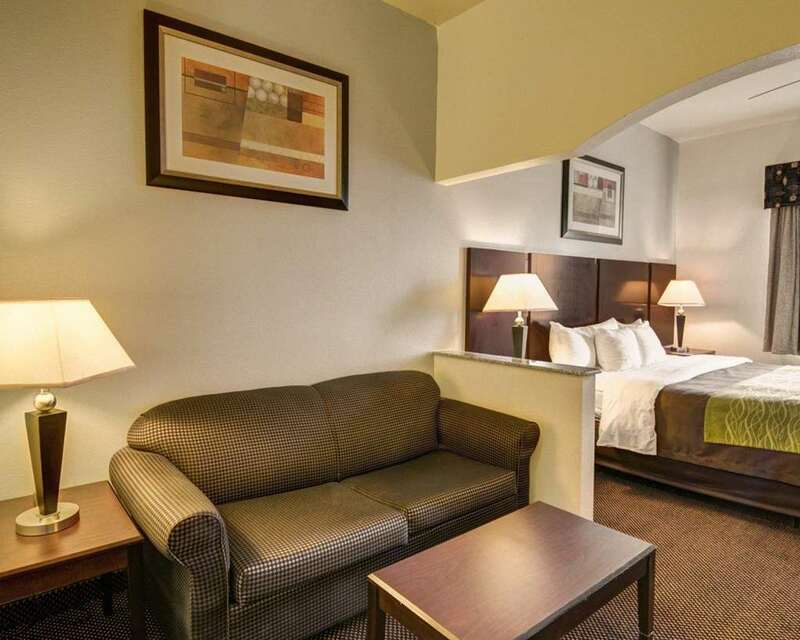 Enjoy a friendly staff, comfortable rooms and all the amenities you can count on at our Comfort Inn and Suites hotel in Amarillo, TX. Our hotel is near the Amarillo Country Club, Amarillo Botanical Gardens, Palo Duro Canyon and the Amarillo Civic Center. Each guest can enjoy our hotels free breakfast, free WiFi, indoor heated pool, fitness center and business center. Unwind after a long day in one of our guest rooms, all of which feature a flat-screen TV, hair dryer, coffee maker, microwave and refrigerator. You can also sign up for our Choice Privileges program and start earning reward points with us today.